Family-run, friendly village bar and restaurant. We offer good value home cooked food, snacks and drinks throughout the day. We have a large outdoor patio, as well as an indoor restaurant and bar area. Whether you are looking for a relaxed meal, coffee & a cake, or a pint (or more), the Rod and Reel will make you welcome. Well-behaved dogs are permitted in the bar. 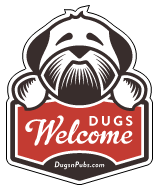 There are a total of 3 dog friendly listings in the Crianlarich category. Please log in, or sign up as a member to view all listings.